Firebase is a service available on the Google Infrastructure, which enables developers to build apps for Android, iOS, and the web. Recently, Google updated Firebase with paid enterprise-grade support, ML Kit Face Contours, a Firebase Management API, Test Lab for iOS, Performance Monitoring improvements, and Firebase Predictions. Our platform is adding features and functionality catering to enterprise app development. The primary change to the Firebase service is the new paid, enterprise-grade support tier offering customers guaranteed service levels, 24/7 support for critical impact issues, target response times, a dedicated account manager when enrolled in Enterprise Support, and the option to have Firebase questions answered through Google Cloud Platform support. Furthermore, current GCP support customers will get this new enterprise support tier added at no additional cost. 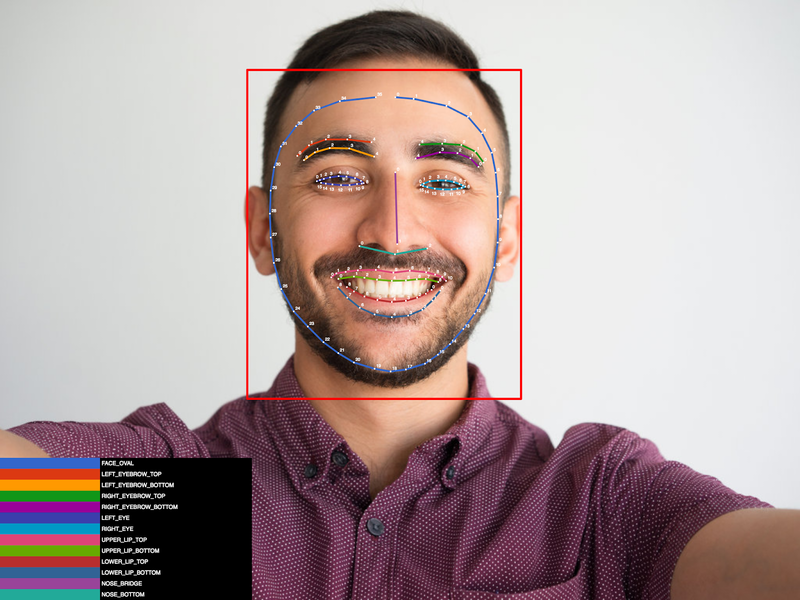 Additionally, Google is now expanding the ML Kit’s Face Detection API with the beta launch of Face Contours, allowing developers to detect over 100 specific landmark points in and around a face. Moreover, with face contours apps can handle tasks like overlaying masks and accessories on facial features such as ears, eyes, nose, mouth, and so on, or adding beautification elements, like skin smoothing and colouration. Firebase is now exposing its management API to allow developers to programmatically provision development environments, allowing the set up of a test environment every time they create a new feature, run tests, and they can tear down the new environment programmatically when they no longer need it. Google also is partnering with Glitch and StackBlitz, popular web-based interactive development environments for web applications, extending those IDEs to provide automated deployment as well as development. Another addition to the Firebase service is the now generally available Firebase Predictions service. This service applies Google’s machine learning to app analytics data and creates user segments based on predicted behaviour. Developers can export complete prediction datasets to BigQuery for more in-depth analysis or use it in third-party services. 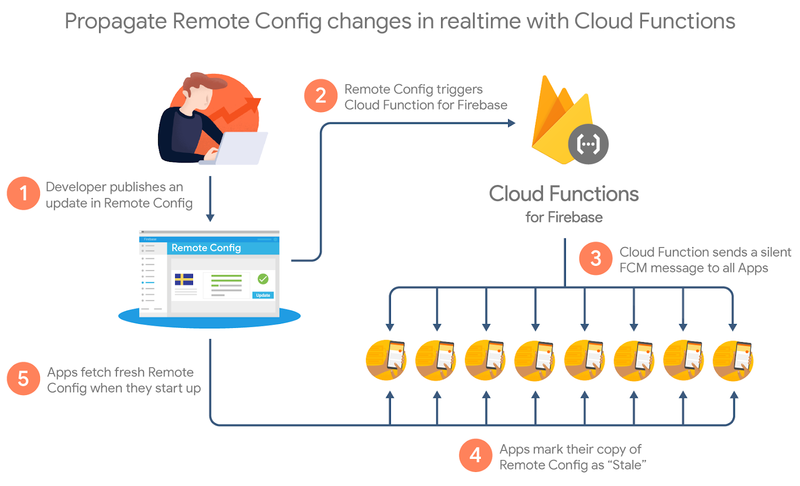 The combination of the Cloud Functions with the Firebase Remote Config REST API has allowed my distributed team at eBay to be instantly notified of any changes to our application's configuration. Using these tools to create a function which pushes changes to Slack ensures everybody who needs to know about a configuration change has that information immediately. Developers can now also get insights into bugs and performance issues with the improved Performance Monitor. The monitor will automatically surface the most critical issues in a given trace instance. Moreover, the developer can dive into an individual trace session to see what was going on when a performance issue occurred. Lastly, Google is also extending the availability of its Test Lab for iOS, which provides both physical and virtual devices hosted in Google's data center, for app test purposes. Furthermore, these test labs will now allow developers to test Android or iOS apps across a wide variety of devices and device configurations – including examining the results (logs, videos, and screenshots) from the Firebase console. The pricing details of Firebase are available on the pricing page, and documentation on the website.